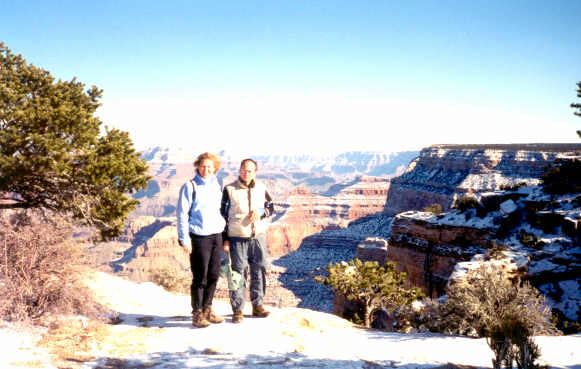 Our trip to Arizona over the holiday week. On our first day it started snowing. 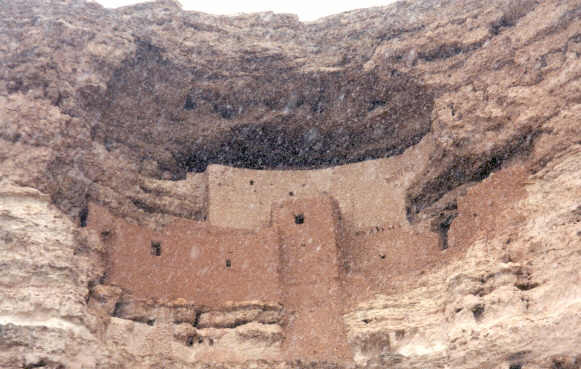 While it was snowing, we saw Montezuma Castle. 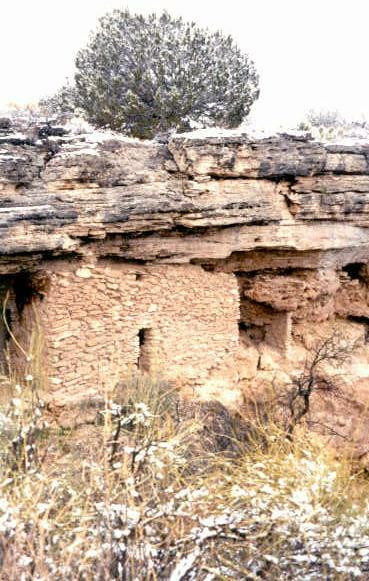 Cliff dwellings in the snow above Montezuma Well, a sink hole with 75º F water. 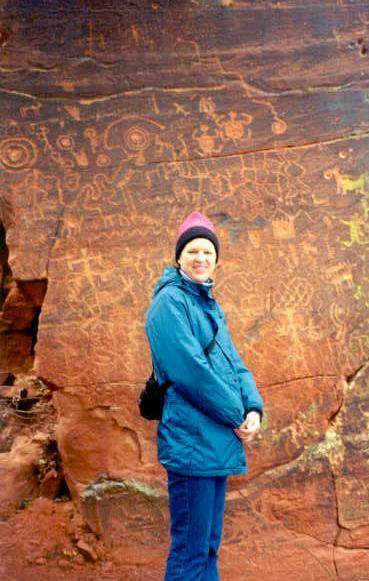 Winny in front of the V-Bar-V Ranch Petroglyphs. Fortunately we brought lots of warm clothes to stay warm! 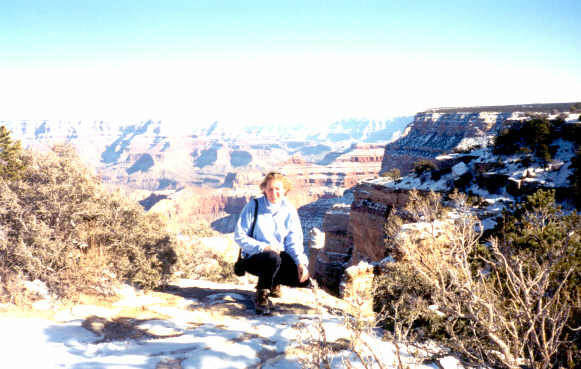 The Grand Canyon on Christmas Day. Cold, a little snow and very crisp, clear views! only open to shuttle buses. 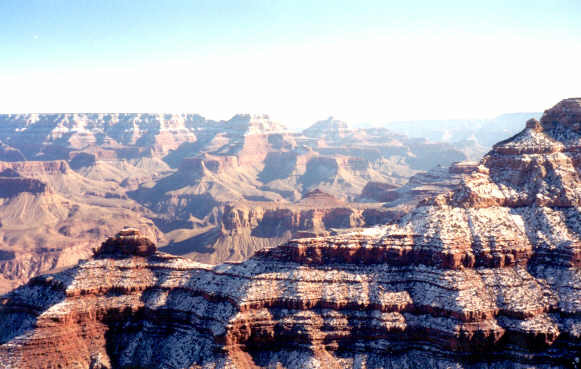 Another great view of the Grand Canyon. Yes, that is snow we're standing on! 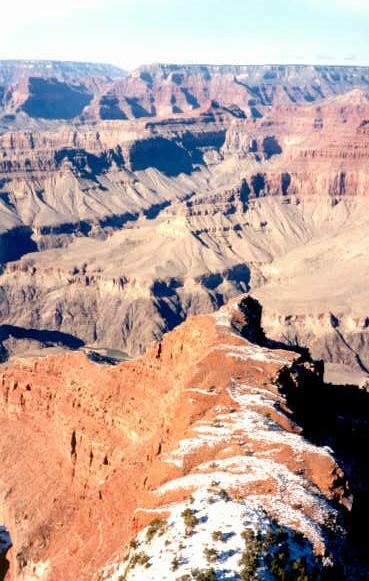 Clear and sunny Grand Canyon views.